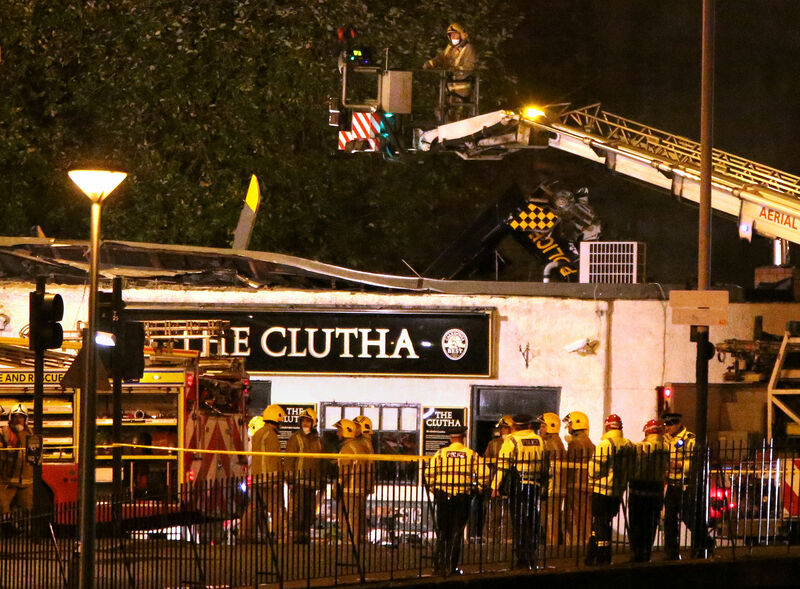 LONDON -- Numerous people were injured and others were trapped after a police helicopter crashed on the roof of a crowded Glasgow pub, officials said early Saturday. The crash Friday night at around 10:30 p.m. local time sent patrons and revelers catching a gig by ska band Esperanza fleeing through a cloud of dust. Witnesses spoke of screams and a scene of horror, of people streaming out of the building covered in blood, with gashes and other injuries. He said teams - including 125 firefighters on the scene - were working to stabilize the building and "get people out." A crew of three - two police officers and a civilian pilot - were aboard the Eurocopter EC135 T2, according to Scottish police.